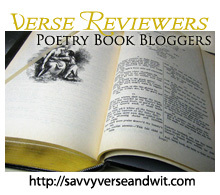 Welcome to the 355th Virtual Poetry Circle! A true Arab knows how to catch a fly in his hands,"
Welcome to the 353rd Virtual Poetry Circle! Santa Clauses: Short Poems from the North Pole by Bob Raczka, illustrated by Chuck Groenink, emphasizes what we already know about Santa Claus and his life as a gift giver, toy maker, husband, and reindeer trainer. But he has one more talent, a secret talent — he’s a poet who write haiku. Inside this book, there are 25 haiku poems that illustrate life at the North Pole, giving young readers and inside look at what it is like to be Santa Claus. 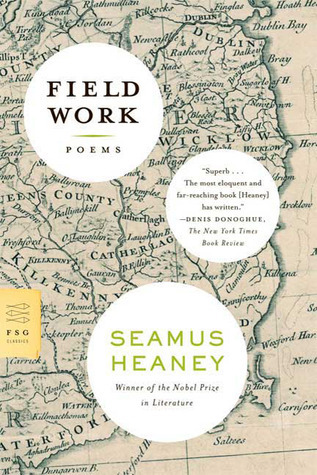 Although some of the haiku are not perfect, and one or two are a bit simplistic, overall the haiku are fun to read, and would make a great addition to the holiday reading list with little kids. 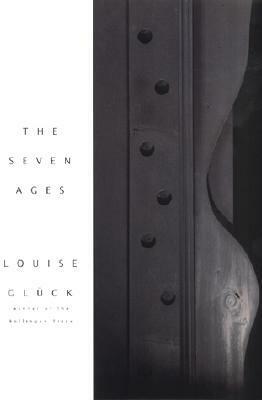 My favorite haiku is the one in which Mrs. Claus becomes a young girl again, making a snow angel. My daughter loves the part when Comet and the white fox return from the woods with their own Christmas tree, helping Santa with his preparations. Some of the haiku will have readers thinking about the stories they know well, and others will have readers looking at things a little differently. 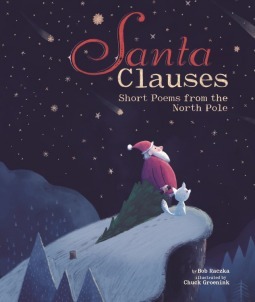 Santa Clauses: Short Poems from the North Pole by Bob Raczka, illustrated by Chuck Groenink, is a cute book with short poems that could be read one day at a time beginning on Dec. 1.